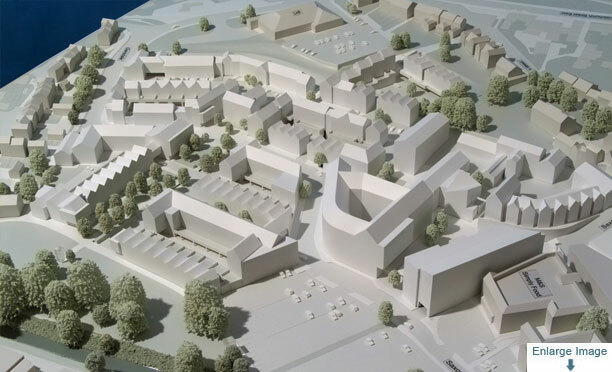 The planning authorities requested a model be produced for this development because it was very difficult to appreciate how the proposed new buildings were going to fit into this mostly sloping site in a sensitive town centre location. 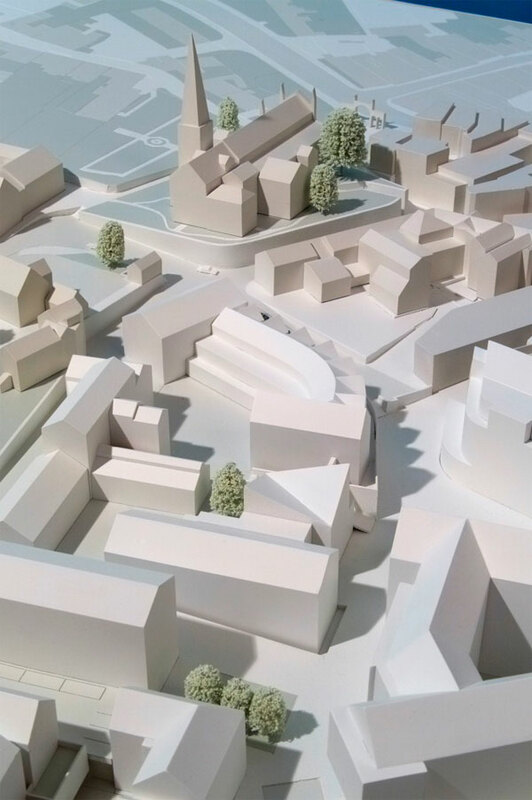 This stylized, monochromatic model was made to demonstrate how this relationship worked, using very accurate topography and faithful representation of all existing and proposed building massing and roofscapes. 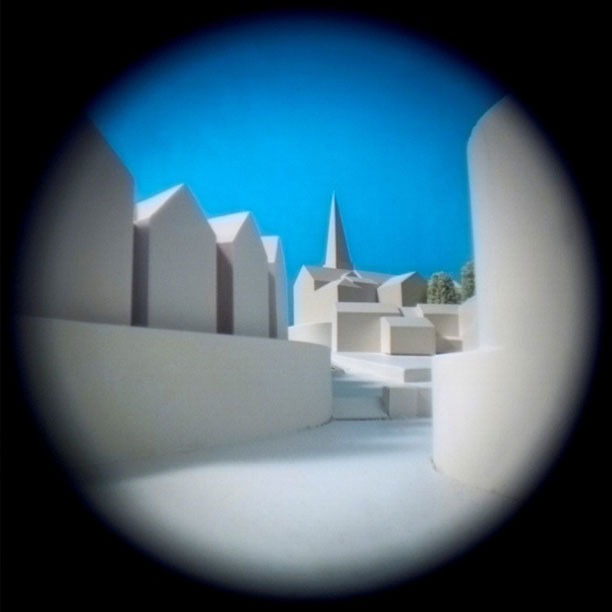 The designers were even able to get some informative ground level views by photographing the model with a modelscope camera (see the circular image).